Email marketing isn’t about selling; it’s about developing and nurturing relationships that lead to sales. In today’s B2B climate, buyers aren’t going to pay attention to your sales pitches until you’ve earned some trust and respect. Buyers are bombarded with too much B2B marketing to focus on everything. Before you can begin to move them toward sales-qualification and conversion, you first have to connect with them, and offering content they’re truly thankful for is a great way to do that. Email blasts are for the birds. 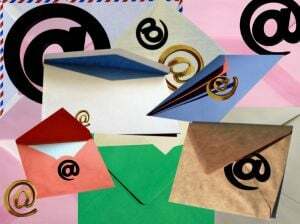 The lazy way of using email in B2B marketing is to send out blast emails, where you put together or purchase mailing lists and send everyone on the list the same email. A lead nurturing strategy for how to provide leads with content that’s valuable to them during each of their customer lifecycle stages. A marketing automation platform to support the lead nurturing strategy by helping you deliver personalized email experiences to leads. Why lead nurturing makes sense. According to a recent post on HubSpot’s blog, emails used in a lead nurturing strategy generate three times more clicks than email blasts. It’s human nature that people respond better to being educated with nurturing emails than being “sold” with blast emails. Being educated feels like a benefit and is usually welcomed, while being sold typically makes people defensive. Rather than selling with emails, start an ongoing “conversation”—“talk” to leads with your emails and let them “talk back” by clicking on the call-to-action, making comments, or sharing your content. Pay attention to what they’re “saying” and respond accordingly, so that you can keep making the conversation more relevant and valuable to them. When they’re eventually ready to be purchase, they’re much more likely to buy from you than from competitors they don’t have a relationship with. Automated flow of timely, relevant emails, keeping a “top of the mind” presence with leads. Better sales and marketing alignment in qualifying leads for sales-readiness, based on responses to email nurturing campaigns. Personalized follow-up emails based on responses, helping to build meaningful customer engagement that translates into qualifications, conversions, and repeat business. Tools for analyzing responses to determine what works and what doesn’t. Even with marketing automation software, you still have to know how to put together an effective email. Marketing automation is only a tool; it doesn’t do the marketing planning, or the content creation, for you. Not only will you need useful content (e.g., whitepapers, checklists, buyer’s guides) to offer leads in emails, you’ll also need emails written and designed in a way that attracts clicks. You first have to get people to listen to your offer, and then—if they accept it—provide them with content they appreciate. Many companies use a managed marketing services agency that specializes in marketing automation (such as One Red Bird) to help with planning, ongoing strategy refinement, and content creation, in addition to the software implementation. B2B marketing support from an agency that knows how to use emails, content, and lead nurturing strategies to increase sales can be the difference between email campaigns that achieve results and those that disappoint. There’s no sense in investing in marketing automation if you don’t have the expertise and talent on hand to create content, develop effective marketing strategy, and manage the execution. Image courtesy of Keith Ramsey, Creative Commons.